← Put on some make up and look cute! 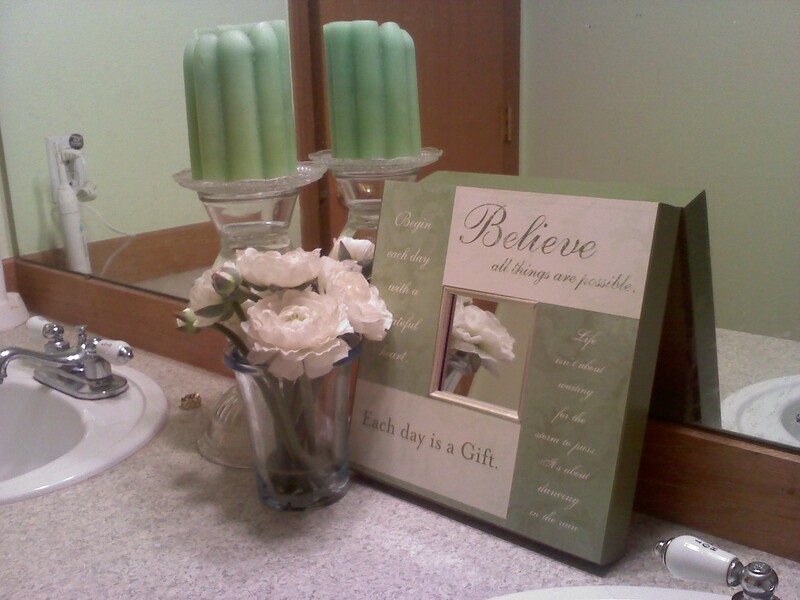 This entry was posted in Uncategorized and tagged bathroom, candles, decorate, flowers, kids, living room, mirror, mom, paint. Bookmark the permalink. Beautiful, Robyn! Thanks for sharing. What a wonderful article! Bless your heart! There’s a lot to be said for minimalism it’s just getting there that can be a challenge! So, good luck to you and continue to enjoy yourself as that’s what it’s all about! Thank you! Simplicity is fun for me. Especially this time year, I really enjoy getting rid of clutter.